With a lot of the web hosting companies providing shared hosting plans. They usually only support a Linux based operating system. That’s great unless you are your project requires you to use Active Server Pages. If this is the case you will need a hosting server that not only has Microsft Server but also supports ASP.net. To make your search easier, I have compiled some of the best ASP.net hosting providers. They all have affordable pricing, great customer service, and guaranteed uptime. Everyone knows GoDaddy, as they are the largest web hosting provider in the States. They support Windows Server 2012 R2, MSSQL databases, and offer 24/7 security monitoring for DDoS attacks. HostGator full supports ASP.NET. Their plans come with unmetered disk space, unmetered bandwidth, and a shared SSL certificate. Combine with award-winning support with 24/7/365 days, makes them a solid option. The best feature that 1&1 Hosting offers is they are fast. Using the latest hybrid technology and smart SSD drives installed in their servers. Lunarpages supports Windows ASP.NET but only on their dedicated hosting plans. This is great if you are looking for a dedicated server, if not, it is going to be expensive. Their servers give you plenty of power with an Intel Quad core, 4GB RAM, and two SATA hard drives. With a dedicated server you will be required to do most of the software maintenance yourself. It is an open source web application framework. Designed to produce dynamic web pages. It is built on the Common Language Runtime (CLR) to allow support on any .NET languages. With ASP.NET being compiled it makes it a fast option than it's successor ASP. ASP.NET is the successor to Microsoft's Active Server Pages (ASP). The old version of ASP is also known as ASP Classic. As ASP is a server-side scripting language that can connect to local databases. It cannot run on a Linux operating system. You must run it on a Windows Server. This requires more cost to the hosting provider, so expect to pay a little more. There isn't a clear cut answer why you should use ASP.NET. Most of you are probably thinking why not use PHP? 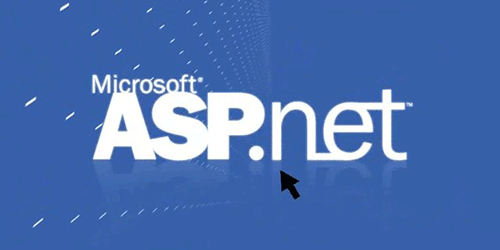 As PHP is a great scripting language, as ASP.NET is a framework. Both can get the job done, it more what you are more comfortable with. If you are interested in trying out ASP.NET, you can visit Microsoft Azure. They will allow you to host 10 ASP.NET websites for free. It is an easy way to have a secure, reliable, business ready website fast. They supported more coding languages than ASP.NET. Here is the full list of the languages Microsoft Azure supports. If you need a server-side scripting language and ASP isn't working for you. Some popular alternatives would be to use PHP or Java. Both are widely supported and available on both Windows and Linux operating systems. If you want to try a more modern technology, you can try Python or Ruby.